USRCC’s series featuring the U.S. and Russian Ambassadors with the goal to provide the audience with the most current and future business outlook, updates on international trade and investment. 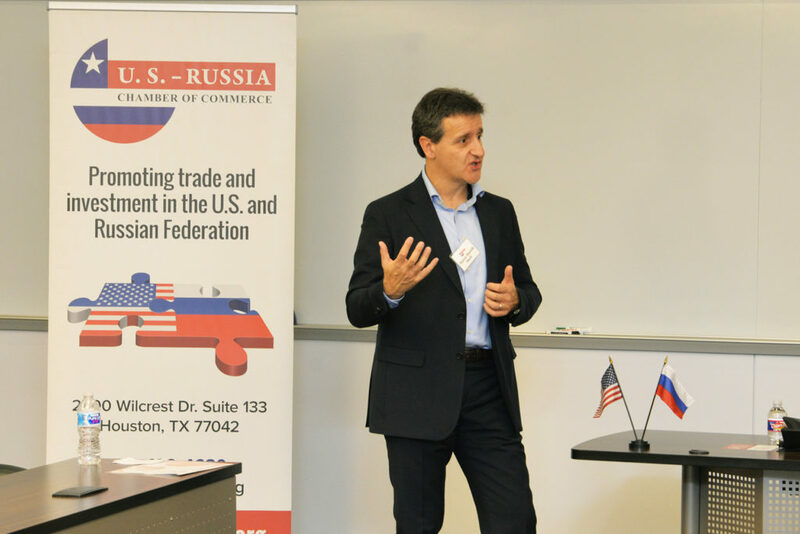 Senior Business Executive Speaker Series features senior level executives and company owners from the U.S. and Russia, who have significant experience in the Russian market from across a variety of industries. 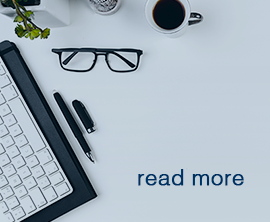 Their experiences will provide insight to U.S. companies who have been or are planning to do business in Russia, with key advice on what it takes to succeed in Russia. OTC Reception is one of our largest annual receptions, attended by 300 to 400 oil and gas industry leaders and government officials from around the U.S., Russia and CIS. USRCC Standardization Conference is a workshop that addresses common issues and challenges of standardization, certification and conformity assessment. 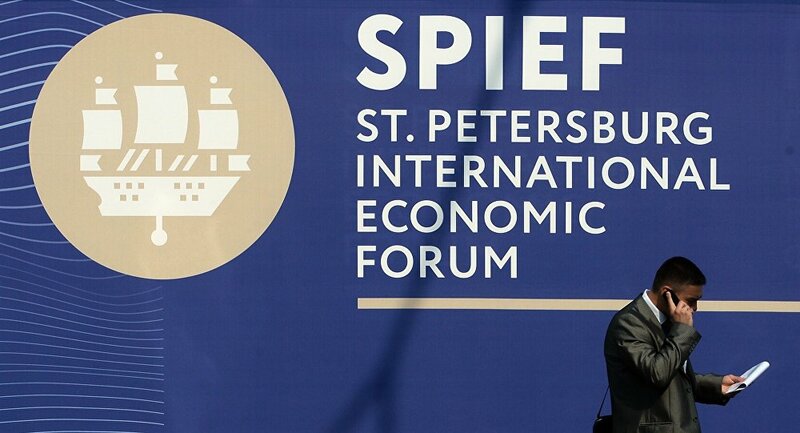 Ministerial Speaker Series is the annual event that features Ministers of the Russian Federation or CIS. During the roundtable discussion, Ministers provide the audience with the industry outlook that helps to better understand the specifics of the Russian or CIS market in the way of building a successful business model and the key areas of cooperation between the countries. Attendees get an exclusive opportunity to interact with a Minister, exchange ideas and opinions, advance their knowledge about current international trade and investment. 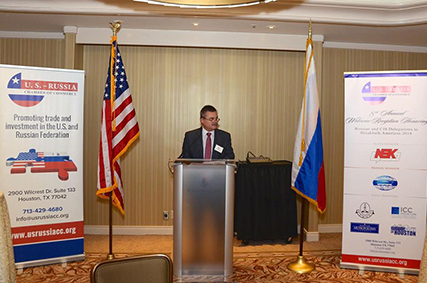 Events organized by the USRCC’s Technology and Innovation Committee with the to identify and promote technologies and innovations between Russia and the U.S. The Conference focuses on the hottest topics and top current challenges facing the oil and gas industry and presents solutions, research, and ideas that address its current needs. The audience includes executives from the oil and gas industry, heads of Technology Department of variety of U.S., Russian and CIS schools. Quarterly events organized by the USRCC Young Professionals Committee. The YP Program engages young professionals between the ages of 21 – 40 and offers resources that will help members expand their career opportunities. The event draws the most influential female executives from a diverse range of industries and backgrounds who come together to talk about women in leadership roles, discuss challenges, opportunities and rewards. Is an annual event that features a Russian region and provides its current and future outlook for investment opportunities and ongoing projects. 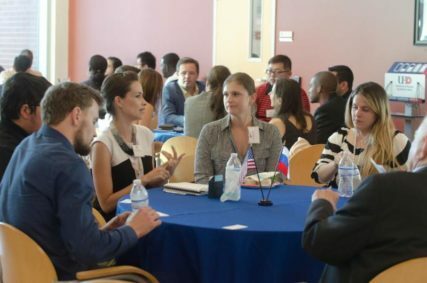 The event provides the U.S. companies looking to invest in Russian market with the opportunity to meet and develop business relations, promote their company to a business delegation including senior representatives from major Russian companies as well as regional Government officials. 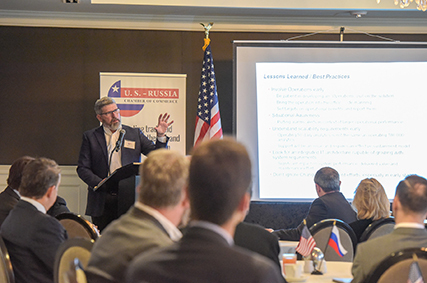 Seminar provides attendees with an excellent opportunity to learn about current OFAC and BIS rules and regulations affecting Russia and the U.S. business. CEO Panel Series brings together CEOs of the US subsidiaries of the Russian companies who provide guests with a deeper understanding of the US-Russia business climate, opportunities and challenges during the panel discussion and bring an excellent perspective on US-Russia trade and investment. The USRCC CEO Roundtable is a series of quarterly meetings for CEOs, Presidents and Chairpersons of the U.S. subsidiaries of the Russian companies that have an interest in the U.S.-Russia trade and investment. The following companies participate in the CEO Roundtable: TMK-IPSCO, OMK, Gazprom Marketing and Trading USA, Neftegas (Rosneft), LUKOIL International Upstream West, Volga-Dnepr, PT-Americas, GEFCO Forwarding USA, OFS International, Borets US, NLMK USA, EVRAZ North America, Matrapetroleum, Eurochem, and VTB Capital among others. 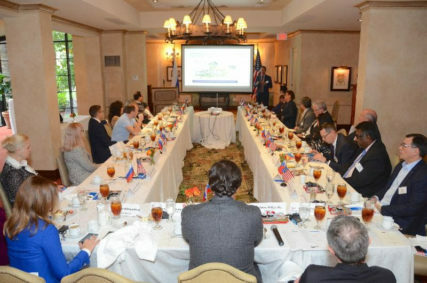 Every CEO Roundtable features a senior level speaker who has significant experience in the U.S.-Russia business, trade and/or government relations. Topics of discussions vary. 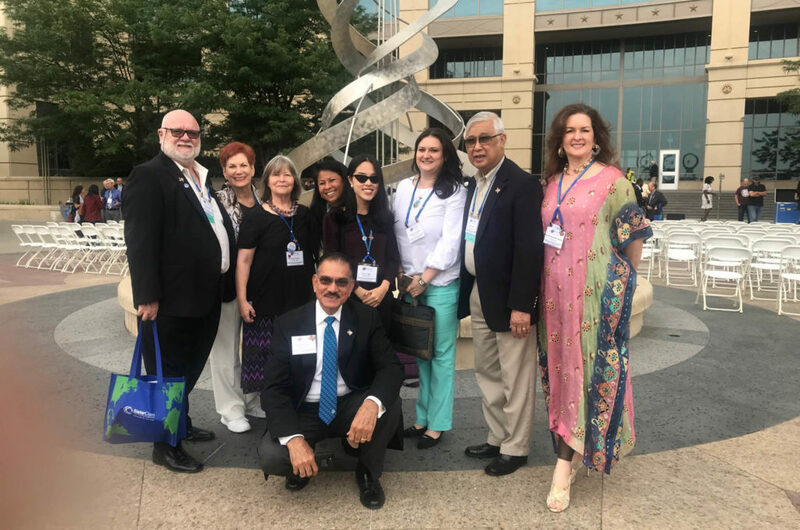 Past events discussions have included: congressional outreach, export controls and sanctions, procurement opportunities, business development opportunities, prospect opportunities, member company presentations and many others. The USRCC organizes up to three trade missions per year. USRCC members can also utilize their membership benefits by joining a trade mission at the discounted rate. During a trade mission the USRCC coordinates private meetings and exclusive Roundtables (upon a member’s request). This is a scientific platform that engages academia, scientists, researchers, health-care professionals, and addresses the challenges of the current healthcare.